Back for the second time in Australia to deliver a 2 day workshop that I guarantee will accelerate the growth of those practices attending. I’ve had (and continue to have) the pleasure of working with some of the leading practices in the UK, Ireland and around the world and I want to pass on the best ideas in the business of dentistry to more independent practice owners. Whether you are a start-up or established, single or multiple site, GDP or specialist referral practice – this programme will make a huge difference – I know it because 2017 has been a year of growth for my existing clients. The key words associated with this programme will be KNOWLEDGE and ACCOUNTABILITY. We will take a common-sense approach where two practices apply to join the programme who are in close geographical proximity – this will vary according to population density. In the case of genuine overlap, a first come, first served rule will apply. In addition to the 2 day event programme members (owners and managers) will have access to The Coach Barrow Tribe – a private Facebook Group which already has 300+ members and is populated ONLY by Coach Barrow clients (and their managers) past and present – in that group we have already and continue to share ideas, templates, spreadsheets, marketing collateral and Q&A threads – a place where you can ask questions and get rapid answers from your peers. At each workshop, you will meet with colleagues at various stages of business development – I want the workshops to be relevant for those who may be just starting out on their ownership journey (opening or buying their first practice), those who have established businesses and are looking to break through a glass ceiling and those who have ambitious growth plans and want to create a dynamic environment in which their managers can survive and thrive. 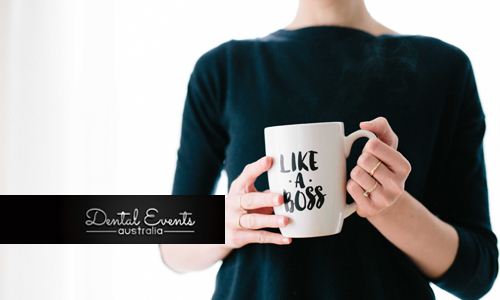 Dental Events Australia reserves the right to cancel, postpone or modify the announced course content, limit enrollment, or change the location, time, date, or speakers due to unforeseen circumstances. 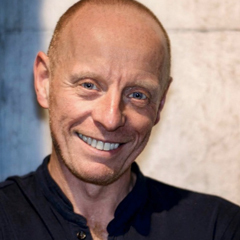 Chris Barrow has been active as a trainer, consultant, coach and mentor to the UK dental profession for over 20 years. Chris combines long experience and deep expertise with the originality and independence needed to resolve the thorniest problems. Naturally direct, assertive and determined, he can reach conclusions quickly, as well as possessing the sharp reflexes and lightness of touch to innovate, change tack and push boundaries. As a speaker, he is dynamic, energetic and charismatic.